Scientists, designers, and architects are collaborating to develop concepts of future architecture where live, digital information can be gathered and utilised to transform the experiences of people in built environments. 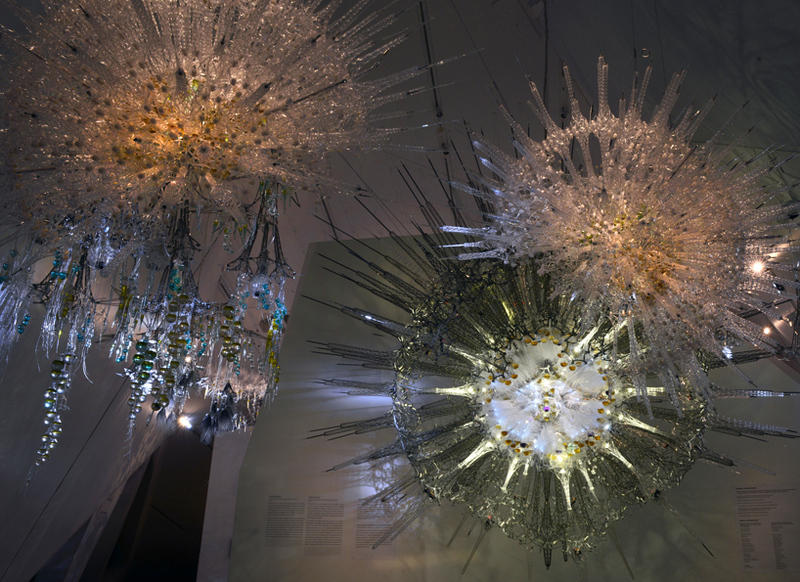 Transforming Space (above) is an installation by interdisciplinary architect Philip Beesley at the Royal Ontario Museum in Toronto, it merges chemistry, artificial intelligence and soundscapes that invite visitors to imagine and explore futuristic ideas of responsive architecture. 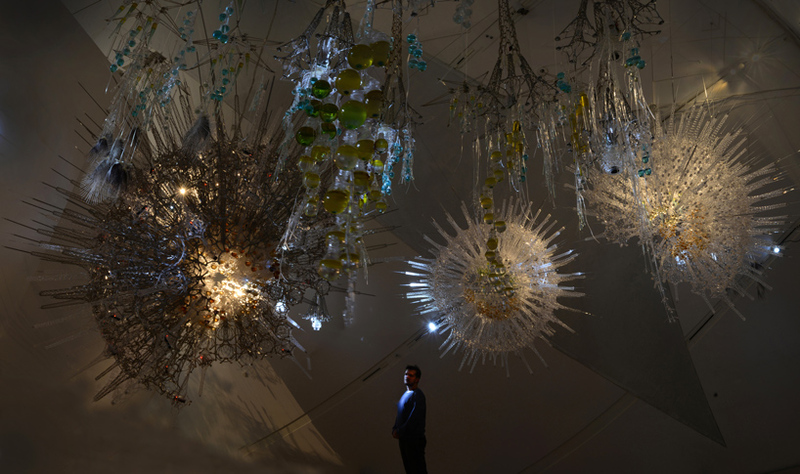 Beesley has created an enchanted forest of delicate canopies and clouds embedded with responsive mechanisms and microprocessors to form an intelligent landscape that breathes and moves in relation to the people moving within it. This highly interactive, immersive environment includes collaborations with fashion designer Iris van Herpen and will be exhibited at ROM until October 9th,2018. New York design company Hey Hush creates experiences, which harmonise digital technology with physical spaces for brand activations or experiences inside commercial architecture. For its Deep City project at Google’s NYC headquarters, it created a holistic three-part installation to demonstrate the ability to transform human data to personalized experiences. The Passage, City Cave and Skywalk areas are created with advanced data-collection technology, which records a guest’s gestures, movement and voice in order to create an informational and artistic record of their personal journey. Archasm is an international architectural organisation that organises open-idea competitions in the fields of architecture and design, which opportunity for the showcasing of creativity by both professionals and students. One recent Archasm brief tasked architects with creating a language museum in London. 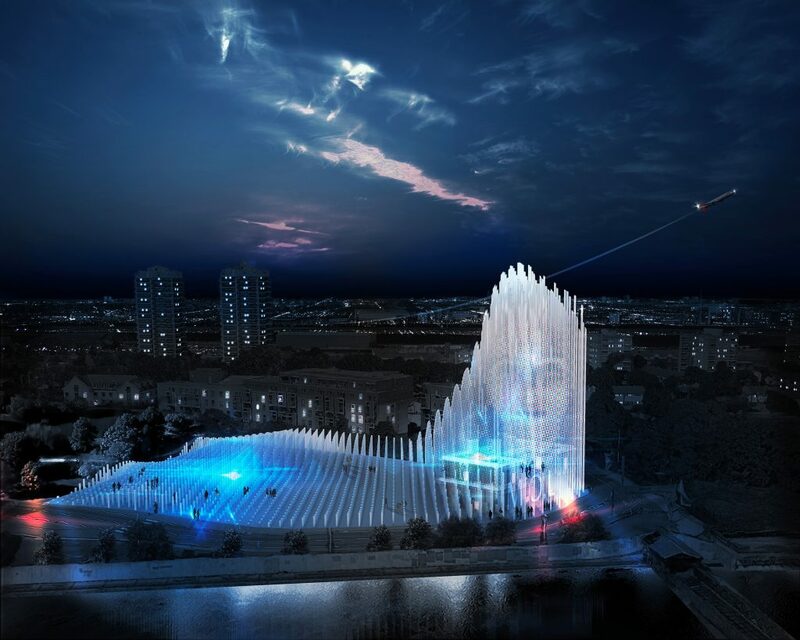 Language Symphony – a virtual reality building, which would interact with visitors to provide a complex sensorial experience of language.